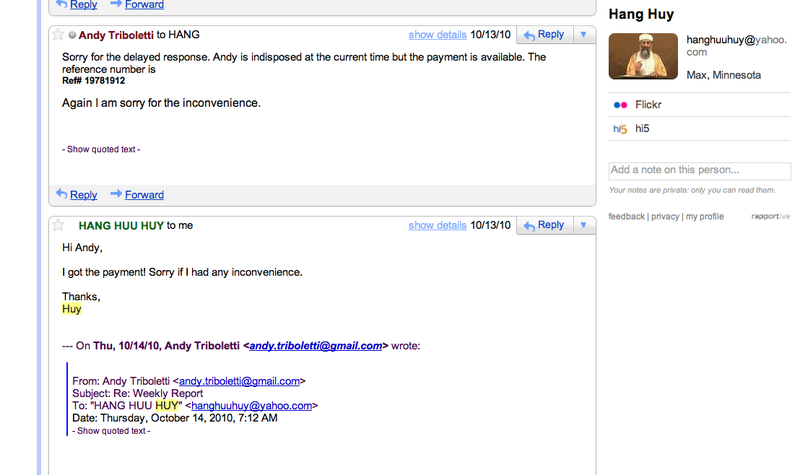 My mail to Rapportive asking for more info. They then respond & stop using Rapleaf immediately. This story is about being spied on by the Food and Agriculture Organization of the United Nations prior to my interview with them as a software developer, and finding that out using the Gmail Rapportive tool. Prior to this I was involuntarily committed for 20 days after committing no crime. thought I was sane and didn’t want to be there for the whole 20 days. a donation of $10 after I got out of the hospital. beginning and maybe I could have avoided this injustice. 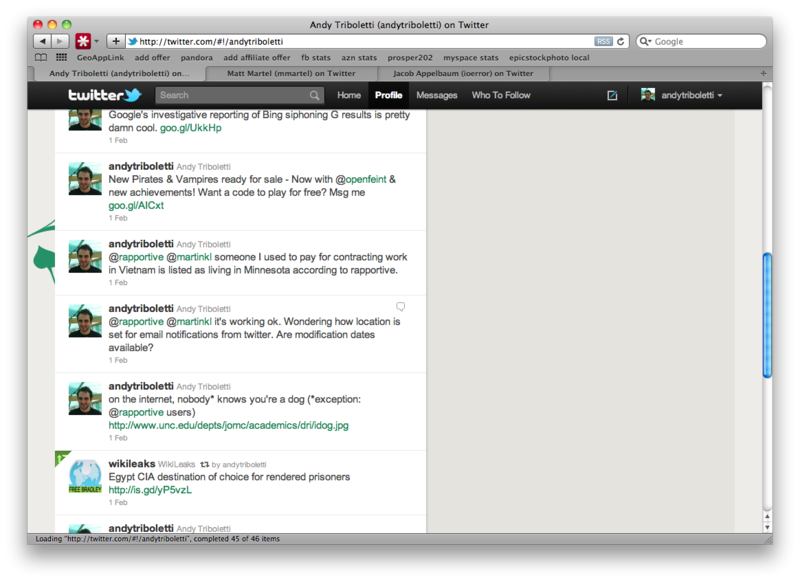 which is why the location disappeared from @SandwichPolice yesterday). 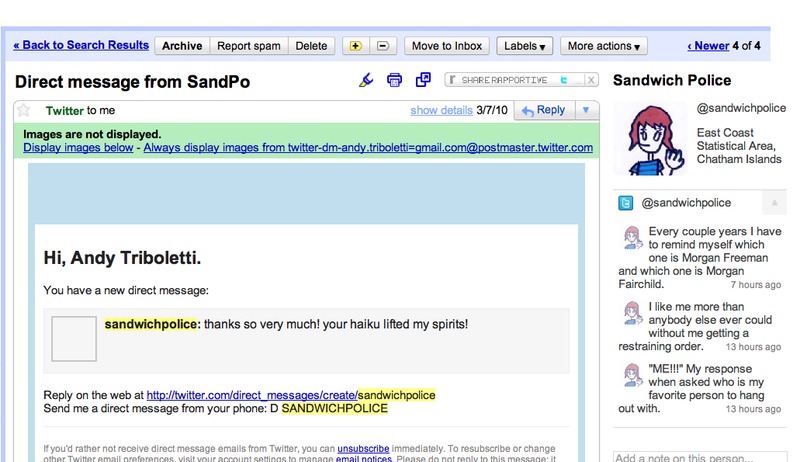 Here’s a screenshot of my sending a message to @rapportive on twitter in 2011. 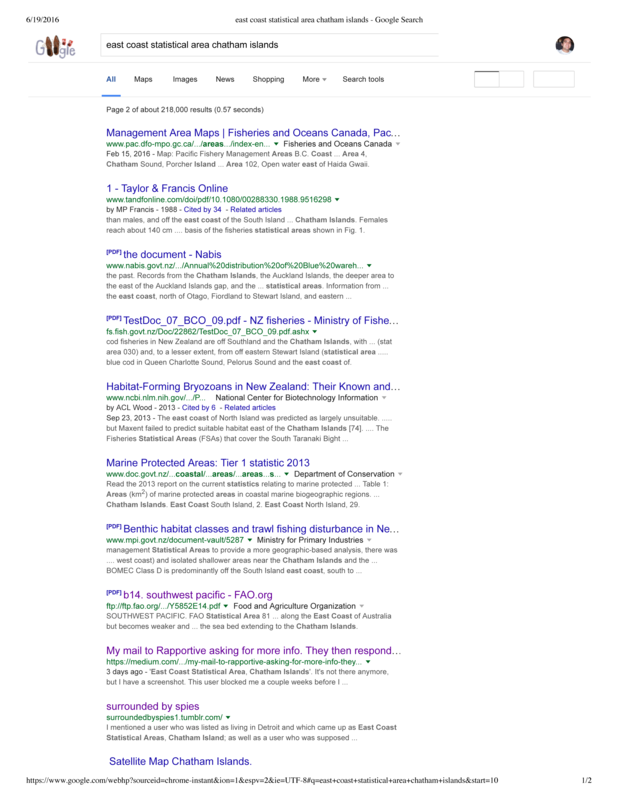 If you search for “East Coast Statistical Islands, Chatham Islands” in Google you will see a result containing the FAO. You can also see this is consistent with what I noticed in 2011 in the below blog post.